The unveiling of the WNBA’s new look, new slogan, new vibe, and renewed optimism was not the only news that came out of the W’s New York City headquarters. The W announced that it had inked a multi-year partnership with AT&T. As a result, AT&T will have its logo featured on the front of the team jerseys of all 12 teams. Said logo will debut on the jerseys that will be unveiled at tomorrow’s WNBA Draft, which shall emanate from the Nike headquarters in New York City and be televised on ESPN2 (1st round) and ESPNU (2nd and 3rd rounds). 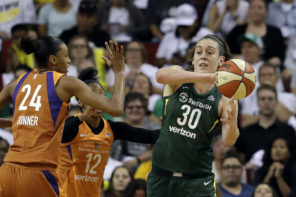 One major element of AT&T’s newfound partnership with the WNBA is that it will become the title sponsor for the All-Star Game, beginning with this season’s midseason festivities in Las Vegas at the Mandalay Bay Events Center. A league release also states that AT&T will be integrated more into WNBA.com, the WNBA app, and its social media as well as with ESPN and NBA TV. 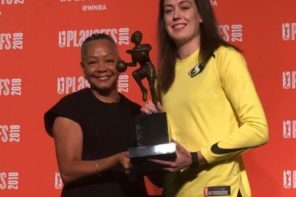 The WNBA is deeply committed to empowering and inspiring women. 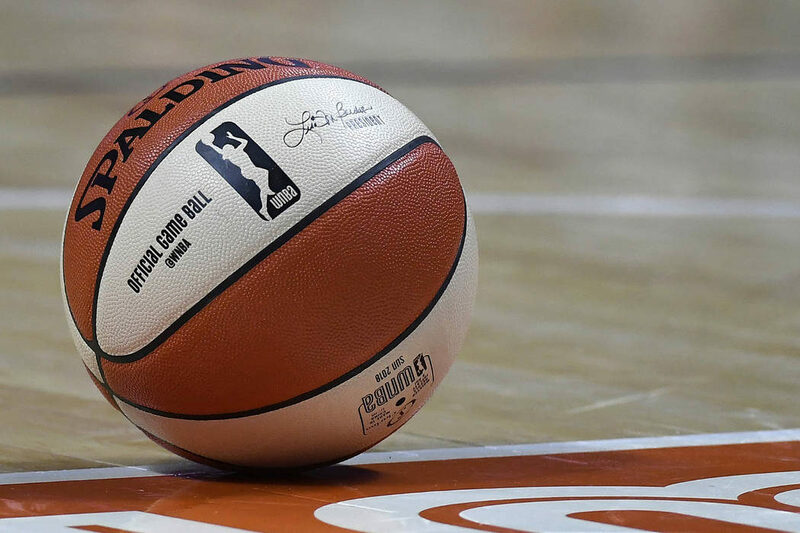 AT&T’s groundbreaking commitment to our game, which is anchored on our shared values of diversity and inclusion, make it the perfect partner for the WNBA at this exciting time. Whether it’s women in sports, supporting small businesses like those owned by WNBA players, being a leading voice in LGBTQ rights, or giving back to communities in which we operate, we have much in common and many opportunities to empower these incredible athletes and their fans.